Villarreal have been short of luck this season. Javi Calleja’s side fought valiantly during their European derby against Valencia at the Cerámica and at times created chances that may have allowed them to take control of the tie, but there were two minutes left on the clock. Maybe the home side were the more tired of the two. Valencia kept pushing and in two swift and precise moves sealed the game: a ball from José Luis Gayá and a break from Denis Cheryshev, both finished off with pinpoint crosses and expert finishes from Daniel Wass and Gonçalo Guedes. More than the game, it also arguably decided the tie. Valencia dusted themselves off from the defeat in Vallecas and and can now look towards a European semi-final with confidence, thanks to those two magical moments in that explosive finale. It was a good derby, full of tension and emotion. The scores were level at 1-1 for a long period of the game, the fruit of a penalty apiece of the kind that don’t always get awarded. During this European midweek we have seen plenty of match officials applying the rules in distinct ways and that is a matter that will have to be explored more thoroughly at a later date, because it shouldn’t be the case. They were both harsh penalties, followed by a middle chunk of the game that Villarreal largely controlled through a wonderful performance from Santi Cazorla and the constant threat of Samu Chukwueze, a player who is destined for big things. But Marcelino tweaked his side to good effect when the tide was against Valencia and was rewarded with the score on the board when the whistle went: another cause for cheer in Valencia’s centenary year. I mentioned Chukwueze appears to have been touched by greatness. 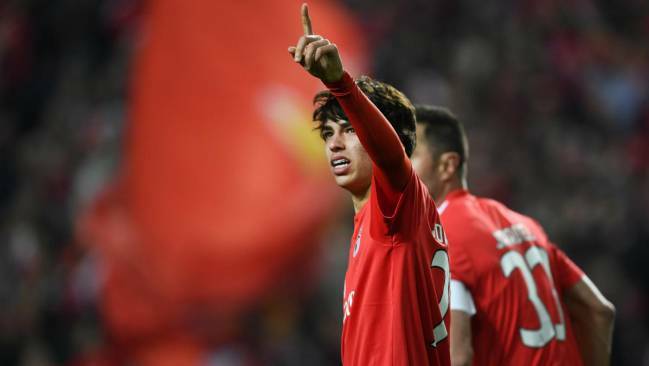 I’m starting to think the same about João Félix, who scored a hat-trick for Benfica against Eintracht Frankfurt. The Portuguese side will travel to Germany with a 4-2 advantage that sets up a fantastic return leg there. In London, our well-known Unai Emery’s Arsenal beat our also well-known Carlo Ancelotti’s Napoli 2-0, and perhaps should have carved out a greater advantage. Emery is an asset missing from Spanish football, who appears to have recovered from his experience at PSG where he deserved a kinder rub of the green. For their part, Chelsea beat Slavia Prague by a single goal away from home, Marcos Alonso providing the late strike and Eden Hazard featuring for just half an hour. It was an interesting and attractive European midweek, with the added sparkle of Valencia’s two late goals.